1. Delaying the late-night meal (Sahur) until the last part of the night, as long as one does not fear that the time of dawn will arrive. 2. Hastening to break the fast when one is sure that the sun has set. 3. Increasing in good deeds, voluntary prayers, charity, recitation of the Quran, remembrance, supplication, and the seeking of forgiveness from Allah Almighty. 4. 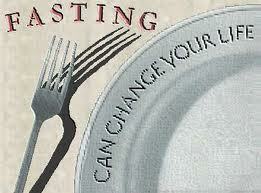 If someone curses the fasting person, rather than curse him back, he should simply say, "Indeed I am fasting." He should reciprocate the evil done to him with a good deed, so as to achieve a reward and remain safe from sending. O Allah, for You I have fasted, with Your sustenance did I break my fast, and so accept from me; indeed, You are All-Hearing, All-Knowing. 6. Breaking fast with ripe dates; if they are not available, then with dry ones; and if they are not available, then with water.